Yay!! Shelly saw my post about cornucopia snack mix! 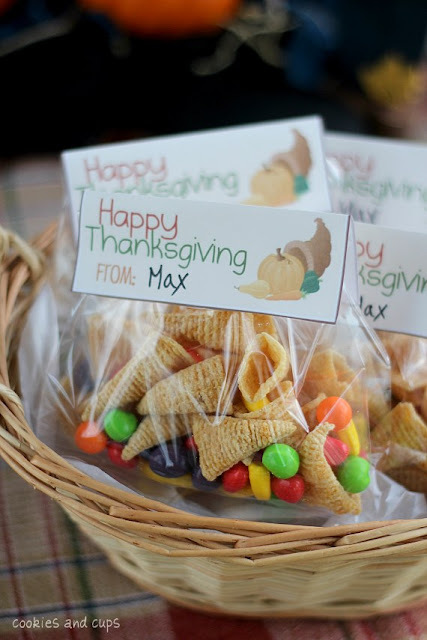 And not only did she come up with a fun Bugle cornucopia treat mix, but she also created a free Thanksgiving printable to go with it. You can get both the snack mix recipe and the Thanksgiving printable over at Cookies and Cups.